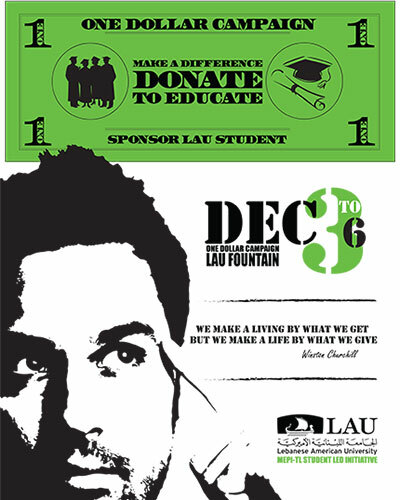 LAU-MEPI students are organizing a campaign called the “One Dollar Campaign.” The students will be requesting members of the LAU community to donate $1 with the goal to fund the education of a disadvantaged student from the MENA region. This campaign is part of a larger campaign “Donate to Educate” that was started last year by MEPI students who decided to donate $5 per month from their stipends for the same purpose. Donate for the good cause!